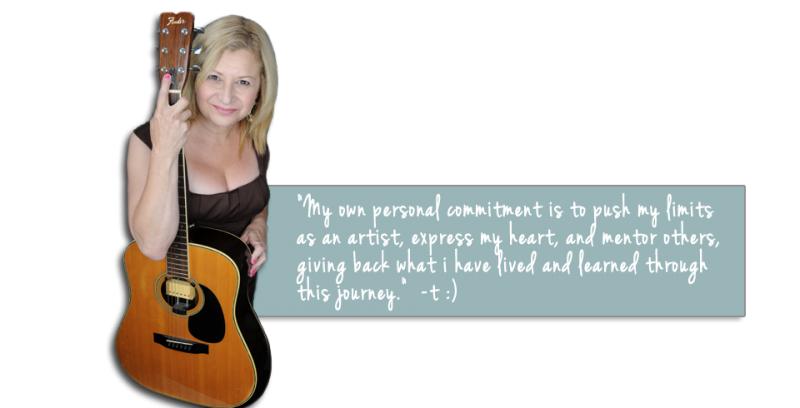 Teri Danz is a pro recording artist and vocal coach/producer, with record credits, national press. Wicked Cold and a Big Gig? Tips for Singers — What Works! So you’ve got a big gig and a wicked cold or flu (especially with lots of congestion), the bad news is that this is the worst for singers. Your body is your instrument, so when you’re ill, stressed, or compromised in any way, it can impact your performance directly. The good news is that you can still sing and perform, in most cases, without the audience knowing. It’s just a bigger challenge than a normal performance. The key is to prepare, take care, and modify to get the best performance possible. It’s a tribute to your skill, training, and professionalism to pull off the vocals convincingly. no matter how compromised you feel. When you have a cold, flu or sinus infection type illness before a gig, there are a number of things you can do that really work. Being good at assessing the situation is critical — how sick or ill you actually are (do you need to see a doctor for instance? ), what type of gig, what time (it takes longer to warm up for a day gig), how many sets, the venue, your schedule around the gig and how much time you have to take care of yourself with rest prior to the gig. Once you clearly assess the situation, there are lots of things you can do. First let’s look at remedies and then specific steps you can take to "deal"!! Remedies: A while ago, a dentist recommended putting Lipton tea bags on my gums to decrease the intense inflammation. Lipton tea has tannin root in it and is very soothing. Miraculously, the aching was relieved. It works when your voice is congested, stressed or when you’re just ill. You can use it to warm up faster (it works!) or just if you can’t seem to get your voice or throat clear. You can also try Throat Coat tea (Medicinal tea) — it has slippery elm root in it. Commercial products also work such as: Two Tree Voice Lozenges from Thayers or Vocal eZe Throat Spray or try music stores (Guitar Center). — this means doing vocal exercises to see exactly where in your range the notes are compromised. Usually with a cold or extreme nasal congestion, there will be "drop-out" on the high end. Don’t force your range — you just need to find out where the real problems are. Fatigue is the enemy of singers and worse when you’re sick. Sleep more! 3. Don’t sing at rehearsal. Talk the parts so as not to strain your voice. Your band will be fine with the vocals simply marked. Drink lots of Lipton tea before and during the warm-ups. This has worked for me for countless gigs. Also, drink lots of water! Stay hydrated. A rule of thumb for a normal gig is to do at least 20 minutes of vocal exercises and 40 minutes of singing. You may need more (but gently) when you’re sick. to exclude demanding or very rangy songs. Also, trim the set list if possible. It’s better to do less songs with a small range than force your voice and crack etc… This is a professional and less stressful approach. Feeling powerful in singing and being powerful in singing are two entirely different things. While efforting — pushing chest, singing louder to hit pitches, creating and pushing sound from the throat — may feel powerful, it actually sounds worse. It’s easy to go off pitch, sound strident (even painful), hurt your voice, crack etc… when you do this. Singing this way when you’re sick or very congested compounds the problem. 7. Use decongestants on a per need basis. I like to use the 4 hour ones and experiment with when they’re working but I’m not too dried up to sing. Lubrication is essential in singing, so keep that in mind. 8. Coughs are even worse for singers. 9. Be sure to eat! Proteins are essential for maintaining energy in singing. Singing takes energy. Many performers lose energy halfway through a set and then end up efforting, pushing and stressing their vocal chords. It takes even more energy to sing when you’re not well. 10. For health and sound quality reasons, use your own microphone. be gentle with yourself. Come up with plan B or C until you find something that works. Do whatever it takes to get functioning for the gig. Your reputation depends on people being able to depend on you! A pro attitude is to show up and do the very best show possible despite the obstacles. I’m always interested in the experience of other singers. Please post your tips on the site! Your experience helps all of us! in her recent post shared about a remedy from a talented singer who had to perform the lead in the "Threepenny Opera" when he had pneumonia that worked for her! His suggestions: Take Sudafed 12-hour (Daytime), and to make sure that the performance time fell in the middle of the 12 hours. Skin and chop up fresh ginger root – "as much as you can stand" – and put it in a thermos for about 3 hours. Drink it right before you go on. Said Amy: "I got organic ginger, and chopped up an entire, 7-inch root and put it in a thermos. I added a little organic honey to make it go down easier, and started drinking it about an hour before I was to go on. It immediately made me feel better, and by the time I went on, I was absolutely shocked to find that I could sing, and even belt, fully relaxed." Fab advice. Thank you. I also drink aloe vera based drinks which can be purchased from Thai supermarkets; I feel the healing properties start getting straight to work. compose ““Female Singer Teri Danz | Tips for Sore Throat and Singers |”? I just bought some Throat Coat, wow it taste sooooooo good. I love all of the advice and remedies. I am a health/herbal conscious person, so I'm happy that your remedies are natural. Thanks so much. Oh my goodness, this Throat Coat tea really works fast. I haven't finished my cup yet, but my throat is feeling better, it doesn't hurt anymore. No kidding! I love that you mentioned one of my favorite teas, the Throat Coat. The brand is Traditional Medicinals and you can get it at Stop and Shop and many natural food stores. I got a really bad sore throat and tested my range on the piano. My range decreased by three notes, and the notes were easy for me to sing are now a challenge, so ill take all the advice I can get from this. I have a competition soon and this scares me. I had a 360 neck fusion, from C3-T2, in 2009. I sang, Professional (locally) C&W, years ago…and continued to sing Karaoke, until the neck Surgery. My vocal cords were damaged, from a bone spur, which necessitated the Surgery, & I sounded like Minnie Mouse…or worse, just whispered. In 2012, I got my voice back, and could sing again…but much deeper. I could NOT hit Soprano at all, so I changed my choices of songs. THEN: I caught the flu bug, this Year, and for the past 3 1/2 Months, I cannot sing. When I'm tired, my voice squeaks or whispers, when I laugh, afterward my voice squeaks or whispers. I cannot do Karaoke, as a soloist. My voice remains 'edgy/scratchy', I sound 'gravelly',and I have constant mucous. On top of that, I have 'Dry Mouth', and am constantly taking Mouth Moisturizing Gel. Thanks for posting this, you helped save the day for a performance last night. Another thing that you may want to consider suggesting a humidifier going the night before. I am not a professional singer, but I do sing in my church choir and with a local chorale. I love to sing and have a vocal coach. After not having a cold for ages I recently caught one that started out with laryngitis and progressed to a full fledged head cold. I tried everything my teacher suggested and it helped some, but while I seemed to clear my head and upper throat, the lower part of my throat seems to have some irritation. When air flows over it I get that tickle causes me to cough and I have no control over it. I also get “drop out” even when I think I’m in control. Unfortunately this causes me to not trust my voice and so I’m tensing up which makes matters worse. I am a first soprano and can sing the higher notes, it’s just getting there that’s the problem right now. I was looking for remedies other than what I’ve been using. I do drink Throat Coat and really like it.. I think maybe I just need to do it more often right now. This is a great site with excellent advice and comments..
What works for me is hot water, lemon, honey and cayenne pepper! The more cayenne pepper you can tolerate, the better! And it’s pretty yummy too! I find that teas dry my throat out and gives me a scratchy throat so that’s not an option for me. Hi there, my name is Matt and I am vocalist for a Heavy Metal band, Lincolnshire Uk. I suffer from constant or on and off nasal congestion, which affects my gag reflex in my throat ..(I know not very nice sorry). I seem to be constantly eating menthol sweets and lozenges to try to loosen and sometime to no prevail, even after blowing my nose before rehearsals or gigs. what would you recommend so I can sing clearer without feeling this way?